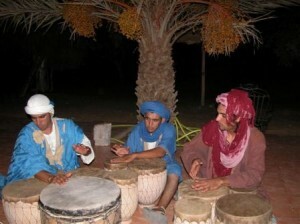 Discover the ultimate Morocco travel experience taking one of our private tours of Morocco. Choose from our website itineraries or allow us to design a personalised tailor made itinerary for you. Style of Our Private Tours of Morocco: Choosing one of our private tours means there will not be other people with you on your tour of Morocco aside from any companions you invite to travel with you. On your private tour, you have your own private vehicle and will be accompanied on Morocco tour by your own private Berber Treasures Morocco English speaking driver/guide. You Choose When Your Morocco Tour Starts: There is no minimum number for our private tours of Morocco, and there are no set departure dates for our Morocco private tours – we do our best to accommodate your preferred start date for your Morocco holidays. With Berber Treasures Morocco private tours of Morocco you have unlimited choice of itinerary. We can custom design a new itinerary to suit your interests and available time or you can select one of our website itineraries – the choice is yours. We specialise in designing itineraries that suit individual client preferences and interests – and of course budget. The Morocco tours on our website are just a few examples of our Morocco tours – both our private tours of Morocco and our group tours of Morocco. Berber Treasures Morocco also offers many other itineraries and special interest tours and we can include lots of unique activities in your itinerary (eg authentic Berber cooking classes and Atlas Mountain treks, birdwatching in Morocco and discovering the romance and adventure of a night camping in the heart of the majestic Sahara Desert sand dunes – these are just a few of the possibilities on your personalised tailor made Berber Treasures Morocco private tour of Morocco. Private Tour Pricing: The pricing of our private tours of Morocco depends on the standard and type of accommodation you seek, the itinerary you choose, the number of people travelling and the time of year you are travelling. We specialise in designing customised itineraries to suit your individual preferences, interests, available time and of course budget. Arrival/Departure Points: If you know which Moroccan city you are arriving into and departing from (eg Casablanca, Marrakech or Tangier) it helps us optimise the itinerary for your private tour of Morocco. If you haven’t yet decided, are unsure or are looking for guidance we are here to help you work out what is best for you. How Long and When: Approximately how many days you have to explore Morocco and the preferred month of travel and/or travel dates. If you are unsure how long you wish to allow for your Morocco travel plans we suggest you look at our website Morocco tour itineraries as they are helpful in showing you what is reasonably possible within different time frames. See, Do, Explore: If there are particular places you already know you want to include in your customised private Morocco tour itinerary, activities you wish to do or interests you would like to explore please let us know. 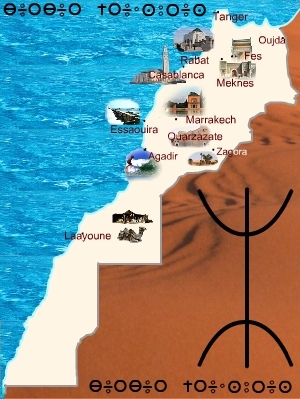 Don’t worry if you are not sure – we can suggest something for you – we know Morocco like the back of our hand. Accommodation Standard: The standard of accommodation you prefer – eg 3, 4 or 5 star – if you are unsure we recommend starting at the 4 star level or a mixture of 3 & 4. In addition to our private tours of Morocco you can discover exotic Morocco on one of our Deluxe Cultural Experience small group tours of Morocco. Contact us now to book your Morocco holidays.